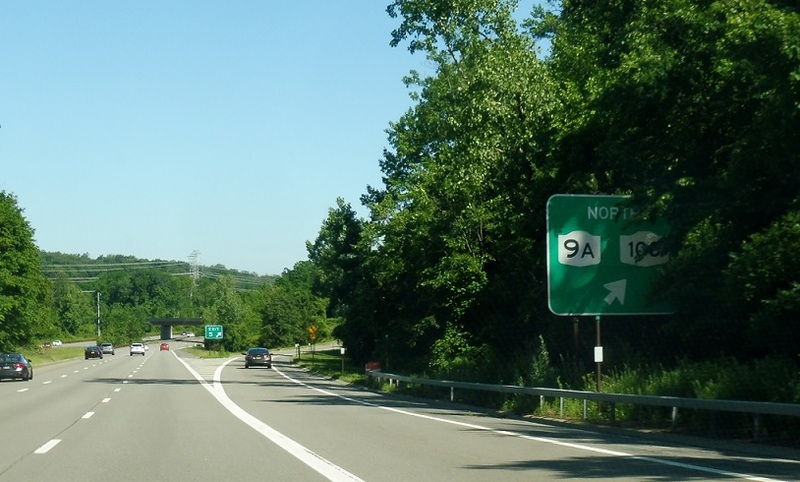 Just after Route 117, we’ll approach NYs 9A and 100. 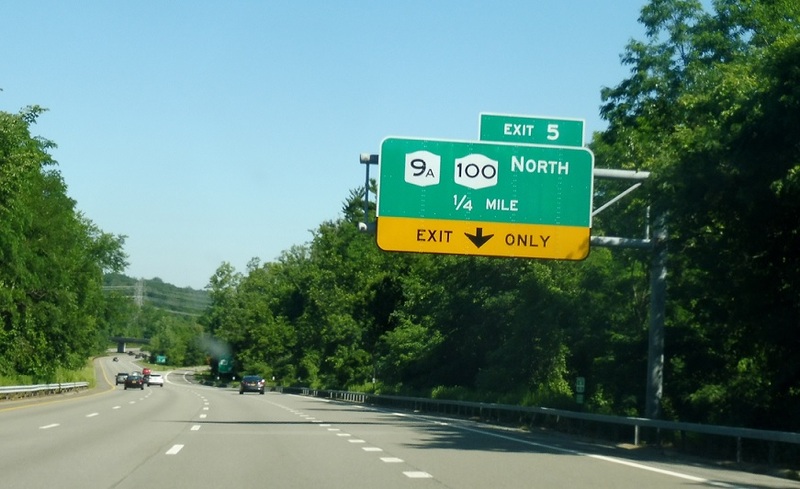 Exit for 9A/100, which run concurrent just parallel to the parkway. There is not access to those routes southbound from here.